The Oxford Waits Live EP is a 17-minute recording from the Oxford Waits debut concert at the Holywell Music Room in Oxford, Monday 31 July 2000. Available by mail order from Beautiful Jo Records, and at concerts. 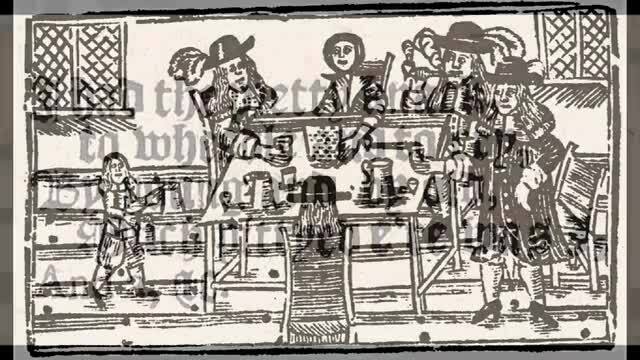 'Cuckoo', track 4 from Love's Holyday by The Oxford Waits, Beautiful Jo Records (BEJOCD-54) The round was composed by Edmund Nelham and published in 'The Musical Companion' in 1652. There was a widespread tradition that if the cuckoo could be kept from migrating by "hedging it in" spring would last all year. 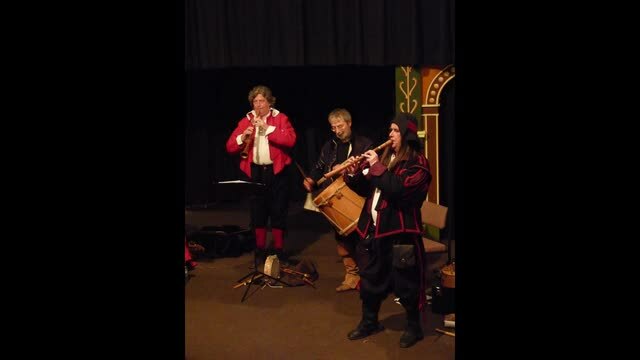 Photos of the band are from a performance at the Unicorn Theatre in Abingdon, 2009. 'The Beggar's Chorus', track 3 from Switter Swatter by The Oxford Waits, Beautiful Jo Records (BEJOCD-44). Written for a revival in 1684 of Richard Brome's play of 1641, 'The Jovial Crew or the Merry Beggars'. 'The Ranting Whore's Resolution', track 5 from Switter Swatter by The Oxford Waits, Beautiful Jo Records (BEJOCD-44). 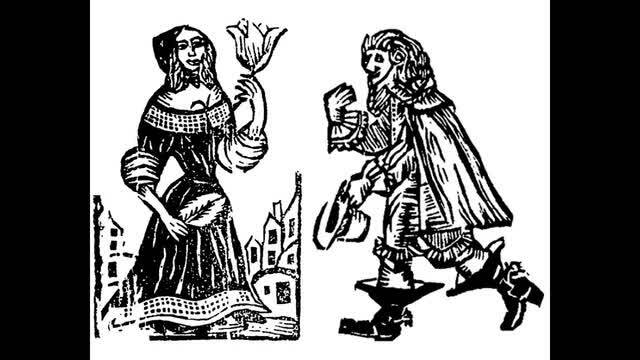 The ballad dates from 1662-3 - we know it as 'The Lady of Pleasure'. Photos of Caroline and Edward are from a performance at the Unicorn Theatre in Abingdon, 2009.